I’m not usually a cupcake fan but this is very elegant and clever! Many couples are choosing cupcakes over the traditional wedding cakes, why? Because you can have a wide selection of flavours, easy portion control, and guests with dietary requirements such as gluten intolerance can be easily catered for. A fantastic hybrid is to have a showcase stand of your cupcakes topped with a single or double tier wedding cake, so you can still get that ‘cutting the cake’ photo. You can tailor the cupcakes sponge flavour, icing flavour, colour and decoration to suit your wedding style and floral arrangements, or just go for a complete mixed bag of flavours, colours and decorations for a gorgeous visual showpiece. 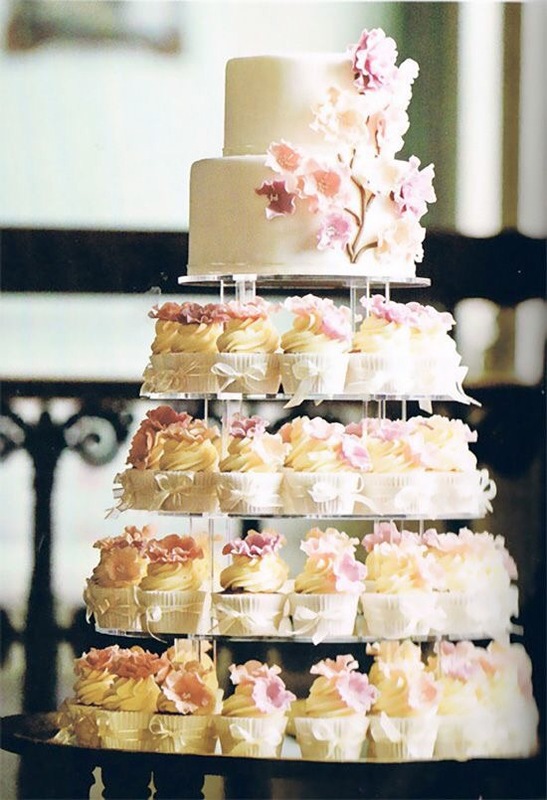 Here are some ideas on how you could have a truly beautiful alternative wedding cupcake stand.